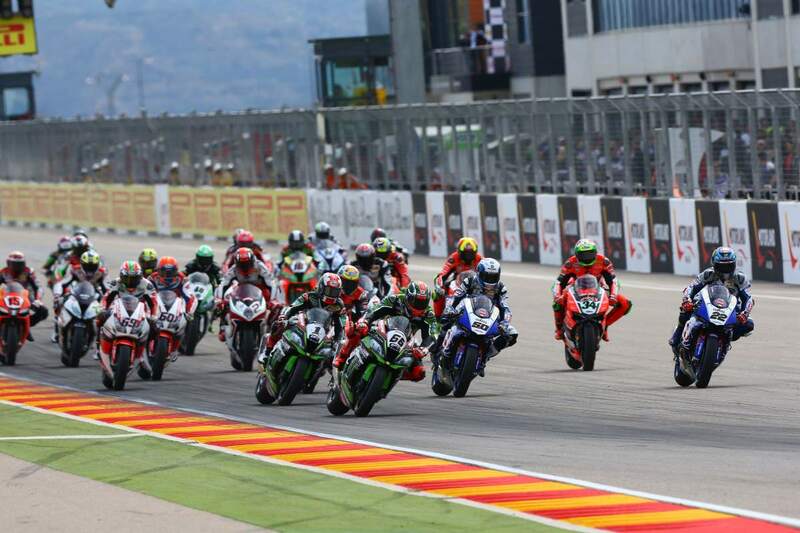 WELSHMAN Chaz Davies has done 'the double' at Aragon accompanied once again by the Kawasaki duo of Tom Sykes and reigning World Champion Jonathan Rea. Aruba.it Racing Ducati rider Davies took another incredible win at MotorLand Aragón in Race 2 crossing the line 6.471s clear of Sykes with Rea taking third. Spanish rider Xavi Forés took his Barni Racing Team Panigale R into fourth once again, equaling his best career result from the previous race yesterday. Spanish compatriot Jordi Torres achieved his best result of the year, after joining his new team for 2016, crossing the line in fifth ahead of the Ducati of Davide Giugliano. Giugliano recovered from a small incident on track to hunt down and overtake Honda rider Michael van der Mark putting himself into sixth by the end of the race. Van der Mark, after a difficult Saturday, kept his Honda in the mix in race 2 to grab another haul of points as he crossed the line in seventh after starting from 11th on the grid. Van der Mark’s team-mate Nicky Hayden dropped down through the order with Yamaha’s Alex Lowes after an incident on track, with the 2006 MotoGP World Champion unfortunately suffering a mechanical issue later in the race and finding himself unable to see the flag. Yamaha duo Sylvain Guintoli and Alex Lowes, after starting from the front row, finished the race in ninth and tenth respectively after a difficult start and yet again showing that the new YZR-R1 currently does not match the pace of the Ducati's and Kawasaki's over race distance. MV Agusta’s Leon Camier finished just outside the points with the Italian factory team hoping to get back up the grid when the World Superbike field head to Assen for the next round.